There are a few foods that really scream Summer to me. Watermelon is one and corn is the other. Down at the local Farmer’s Market there is a guy who sells corn out of the back of his truck. It’s the best corn I have ever had. So tender and sweet. He sells a couple of different varieties: a sweet yellow, a white and a hybrid of white and yellow. My personal favorite is the white corn followed by the hybrid. This corn is so sweet that at times I just give it a quick steam and eat it just like that. Other times I get a little naughty and slap on some butter and a touch of sea salt. Either way this corn is delicious. 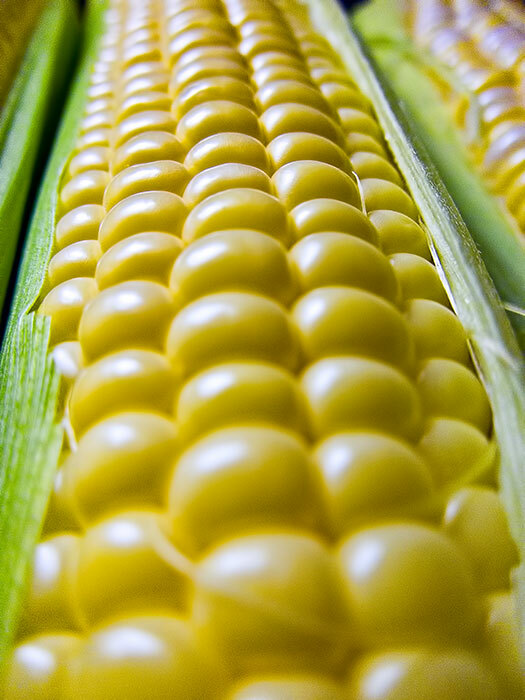 What is your favorite corn and how do you like to eat it?